VisionREZ is a residential Building Information Modeling (BIM) technology that allows for the sharing of all information related to a project to be contained in a single and accessible model. VisionREZ automates design tasks and integrates information so it can be utilized across functions and organizations enabling coordination between the disciplines. Built on the popular Autodesk Revit platform, VisionREZ provides a familiar user experience and market-wide recognition. 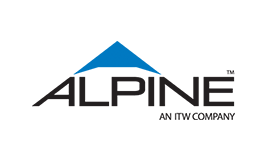 Alpine, a market leader in software for the residential construction industry, has been developing software for Autodesk platforms for more than 25 years. VisionREZ makes Revit simple for residential use, allowing designers to be more efficient, estimators more accurate, and connecting the entire construction supply chain.